Language barriers can be very difficult obstacles to overcome, and without bilingual employees on your payroll, you may struggle to not only attract new customers, but keep crucial partners satisfied in a competitive market. By offering language classes as a part of your benefits package, you can give your employees the competitive edge they need to come out on top. Corporate foreign language training will provide your employees with the skills they need to comfortably conduct business with an international clientele, provide long-distance customers with flawless customer service, and effortlessly extend your brand in the international market. Whether your goal is to expand your business, increase your sales, or strengthen your bonds with crucial partners, foreign language classes will solidify your business’s place on the map. If your business is growing at an exponential rate, and you’ve decided to branch out internationally, you’re going to need a team of employees who can interact seamlessly with your international clientele. To fulfill this requirement, one option is to hire a specialized team of talented, bilingual businessmen and women who can foster those relationships with your foreign-speaking partners. However, hiring new workers also means paying additional wages. To save money and boost employee morale, choose instead to reward your long-time employees for their hard work and dedication by investing in their futures. Corporate foreign language training may be a higher initial investment, but it is much more cost-effective than hiring new employees and paying their wages long term. Give your best and brightest the opportunity to rise in company ranks and fill roles that require more responsibility. When your employees are given the opportunity to learn a second language as a part of their benefits package, they will feel more valued within your company. Not only are you helping them develop as a part of your team, but you’re also giving them the resources they need to increase their future earnings potential. 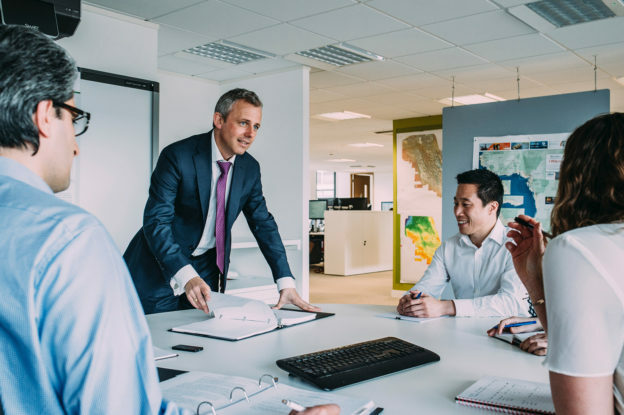 Even if you’re not planning on branching out overseas, corporate foreign language training will still help your employees hone their social skills, gain confidence in the workplace, and feel a greater sense of achievement. These benefits will translate into an improvement in overall efficiency, productivity, and company morale, while simultaneously increasing your employee retention. At City Speakeasy, we offer a wide range of foreign language classes, including 8-week evening courses and our premier corporate foreign language training for NYC businesses. If you want to make foreign language training a part of your employee benefits package, let our dedicated team of instructors put your employees on the fast track to fluency. Fill out this Corporate Class Registration form today, or contact us for more options. We’re ready to start when you are! Join the speakeasy! Get tips on learning languages, hear about awesome events, and more.